Ultrasound-guided ACB, a blockade of the saphenous nerve, medial femoral cutaneous nerve, vastus medialis nerve, medial retinacular nerve and probably articular branches of the obturator nerve, is a relatively new analgesic regimen that was proven to be effective for postoperative pain control without weakening quadriceps muscle strength as compared to FNB. [4, 5, 6, 7, 8] However, ACB only provides analgesia to the anterior medial and aspects of the knee capsule, and cannot provide complete pain relief for posterior knee pain. 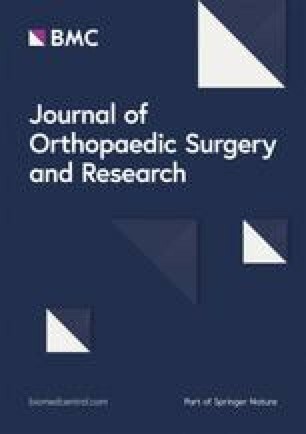 LIA has been introduced as an alternative technique of pain control for TKA with the advantages of no influence on quadriceps strength, ease of performance, effective pain control and low rate of anesthetic systemic complications. [9, 10, 11, 12] However, given its disadvantages of the duration and efficacy, LIA alone may be not the best recommendation. 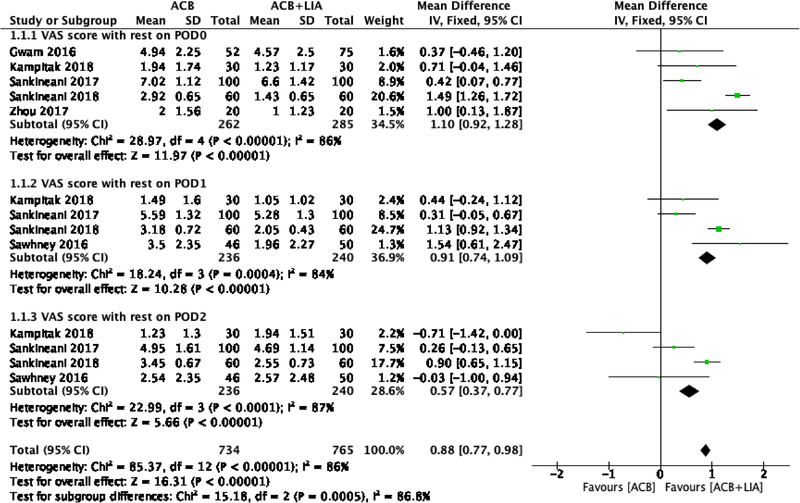 [13, 14] Whether LIA combined with peripheral nerve block, especially ACB, has a synergistic effect than ACB alone remains controversial.